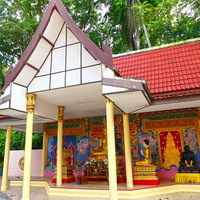 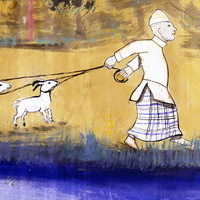 Near Palas-Panare Road, Tambon Khuan, Amphoe Panare, Pattani. 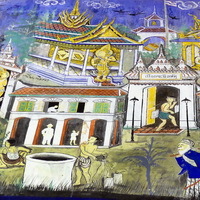 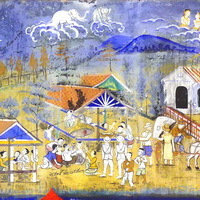 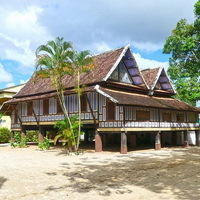 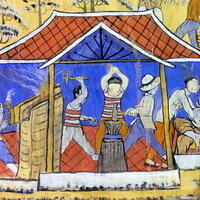 Location of murals: In Bot, Kuti (Monk�s Residence) and Sala (Pavillion). 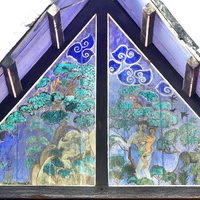 Bot: Only the areas above doors and windows are painted in 2 rows. 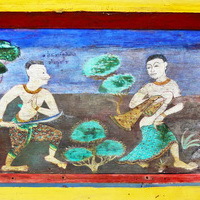 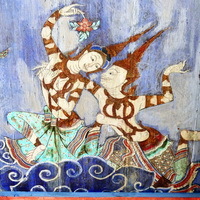 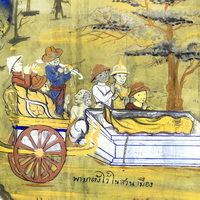 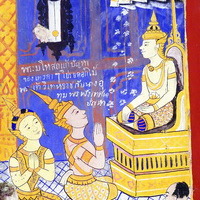 The above one tells the story of Vessantara in details with some episodes from the Buddha Story. 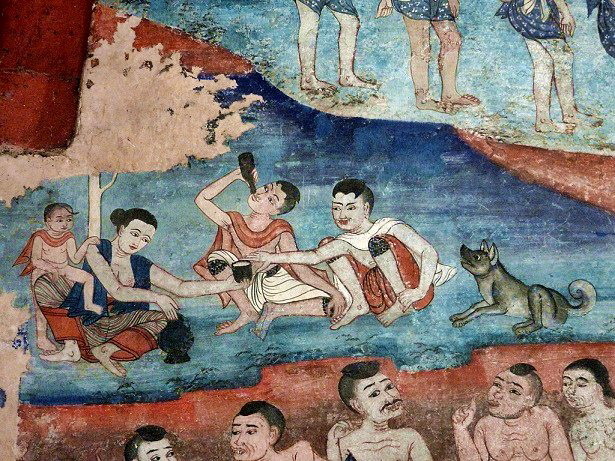 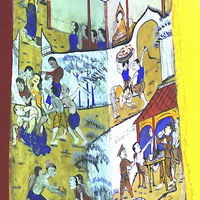 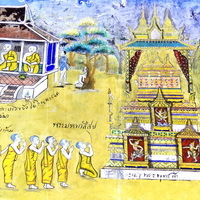 The bottom row paints the Buddha�s Ten Previous Lives and the Buddha�s victories over non-believers and those who want to harm him. 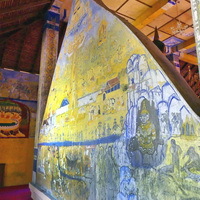 The back of the main Buddha is also covered with the Buddha�s Coming Down from Heaven, showing scenes from Heaven and Hell as well as human beings from all 4 Continents according to Trai Phum (The 3 Worlds). 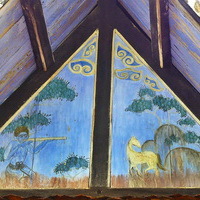 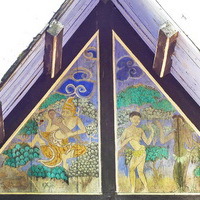 Kuti: The Monk�s Residence has scenes from Angulimala�s life on the roof supporting planks and the Moon, the Sun and Angels on the ceiling. 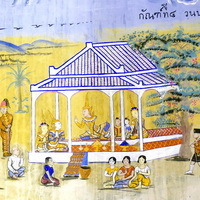 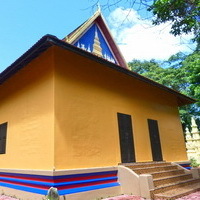 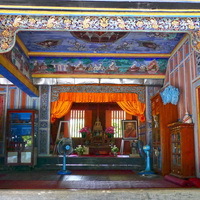 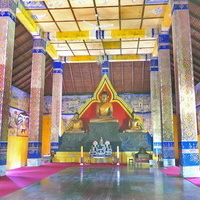 Sala: On the back wall, one can find a copy of the old painting on wood of the Buddha, richly decorated, surrounded by angels who have come to pay homage to him. 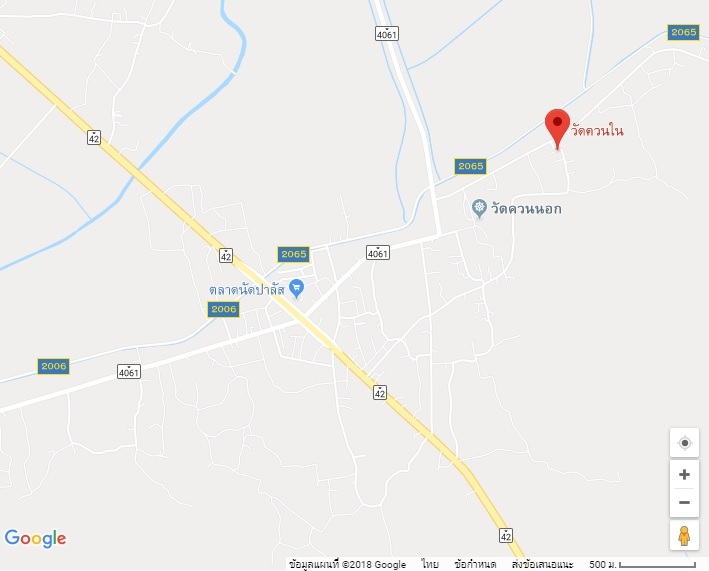 Last Update : 11 พฤศจิกายน 2561 23:08:44 น.